The Greek Isles are such a beautiful way to experience this country for the first time. 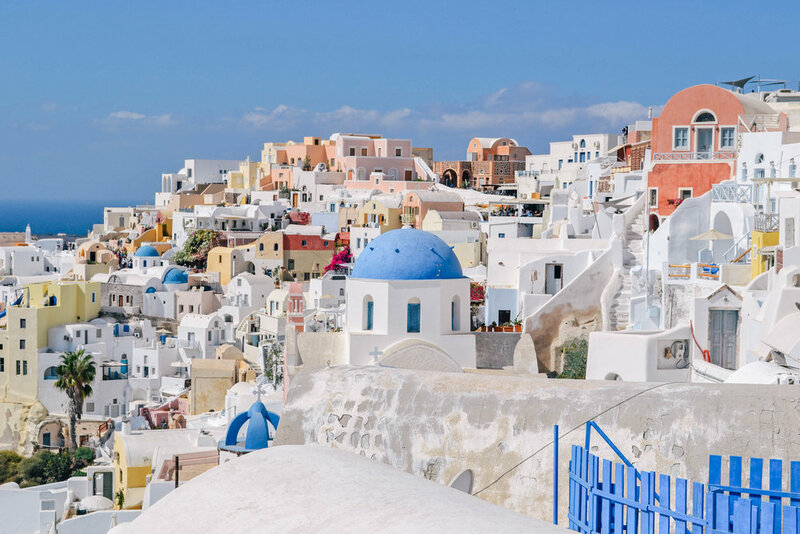 We chose Mykonos and Santorini for our first trip to Greece and couldn't recommend this itinerary more - we loved everything about the culture, food, architecture and people. We compared the islands to the Amalfi Coast and French Riviera and they are all in close competition for our favorite. We wanted to share here all of what we found to be the best things to do for a first timers trip to Greece. A complete week long itinerary for Mykonos and Santorini including daily activities, food and drinks, and recommended tours. We loved everything about these two islands and found there was plenty to do here but that a week was the perfect amount of time to see enough of both places. Read more about how we spent 8 days in the islands here. Blue domes, Oia, the Caldera. These things and more make Santorini such an incredible place to visit. The architecture is beautiful, the culture is strong, and the summer season is crowded! Read more about our 3 day itinerary, best things to do and why it should be on every first timer's visit. Greece's very own party island. Full of beaches, white washed buildings, souvlaki, and night clubs, Mykonos has a reputation for it's nightlife but there is so much more here as well. You can spend a day wandering around town, rent a quad and see the island, and of course lounge on the beach. Athens is the gateway to the Greek Isles. Whether you decide to spend a day or two here to explore Greece's long history, or just spend an afternoon in between flights seeing the Acropolis, it's a sprawling metropolis with plenty to see and do and so much to learn about ancient Greek history.